The black roof stains often referred to as a mold, besides being ugly, are a form of bacteria known as gloeocapsa magma’. 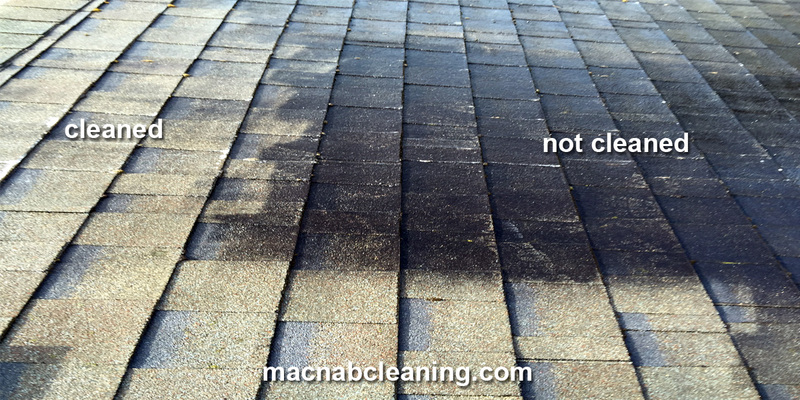 This bacteria feeds on your shingles producing an environment for other moss, lichen and rot to flourish. Here we treated and killed the mold, and gently rinsed it off with a low pressure non-damaging spray. The results speak for themselves.